The New York Comedy Club in Midtown has been serving up laughs in the Big Apple for thirty years. This time-honored venue has become one of the most respected in New York. And for good reason. 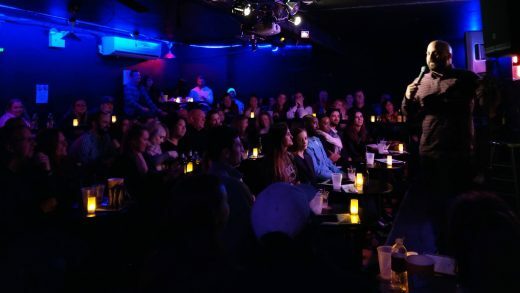 This classic comedy club features some of the best comedians in the city—and a one-of-a-kind atmosphere that takes your experience to the next level. 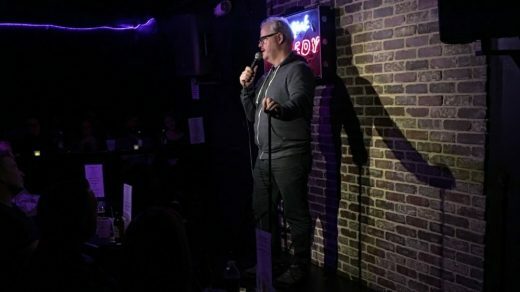 Open seven nights a week, New York Comedy Club has earned a reputation for showcasing some of the best comedic talents in the city. A favorite for NYC comedy club lovers, this great venue has something for everyone. The New York Comedy Club opened its doors thirty years ago in 1989, and since then its classic design and hip vibe have made it one of the hottest venues in the city. The legacy of this comedy club in NYC got even richer when it came under new ownership in 2014. This year marks five years since this change of ownership when Emilio Savone and E Scott Linder purchased the venue from Al Martin. Since then, the club has been outfitted with a brand new front bar that takes the experience to the next level. Currently, New York Comedy Club offers unbeatable drink specials available both before and after the show. During their time as owners, Savone and Linder have worked to not only continue the venue’s tradition as being one of the most popular NYC comedy clubs but build on it. In doing so, they’ve conducted a pair of intensive renovations on the property, modernizing the venue for a fresh, modern feel. But, that’s not all. The expansion of the New York Comedy Club under their leadership has led to increased showtimes and venue locations. Perhaps the most significant change to the New York Comedy Club since the pair has taken over is the addition of a new venue in East Village. Located in what was formerly the Eastville Comedy Club, the new venue proudly brings a renewed laughter to those in the East Village every night of the week. The location, which has also been heavily renovated and upgraded, joins New York Comedy Club Midtown as one of the most well-respected comedy clubs in NYC. No matter which venue you choose, you can be sure to get nothing but grade-A laughs. That’s because New York Comedy Club works only with the Big Apple’s finest comedic talents. By working with this exclusive talent pool, this great venue provides customers with unbeatable laughs at an unsurpassable quality. 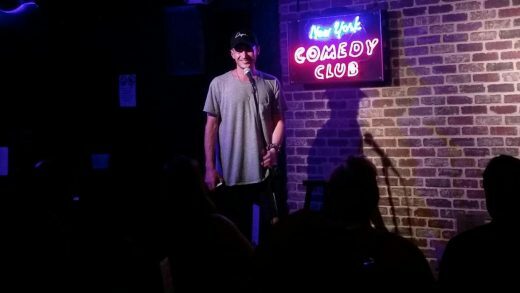 In addition to professional nightly comedy shows, New York Comedy Club allows amateurs a chance to show their stuff during open mic night three days a week. Those wishing to show off their comedic and creative flair are encouraged to sign up to take the stage for open mic night, starting every Monday, Tuesday, and Wednesday at 5 PM. Those wishing to participate must sign up with the club starting at 4 PM and pay a small fee of $3. New York Comedy Club features convenient venues for both guests and professional comedians. Perhaps nothing highlights this best than by the fact that the venue comes fully equipped to provide a high-quality live recording of a comedy event. These professional live recordings provide high-quality audio and video content, as well as a host of other perks. Those interested must first contact the New York Comedy Club for more details. This proves to be just a small sample of the full list of comedians who perform at New York Comedy Club. If you’re interested in learning more about the specific comedians New York Comedy Club works with—and specific upcoming showtimes—keep reading below for more information. To list every comedian who has passed through New York Comedy Club’s doors would be impossible. That’s because the club’s high-profile nature has helped attract thousands of the most talented individuals. 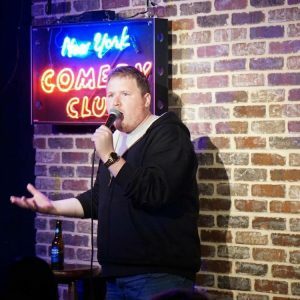 With the increase of showtimes since 2014, New York Comedy Club now works more than ever to bring humor to the Big Apple. For this reason, several of the most talented names in the business will be performing at the venue within the next week. 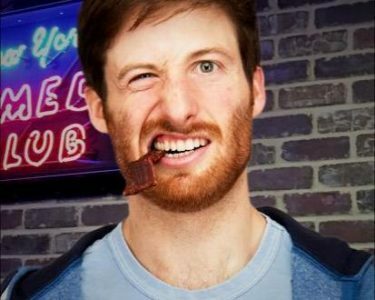 Below, we’ll take a look at some of the best-known comedians headed to New York Comedy Club on April 2, as well as at some of the most important showtimes available for both the Midtown and the East Village venues. Nominated as one of the Ten Funniest Female Comics by College Candy, Leah Bonnema has earned a reputation as being one of New York’s funniest comedians. Some of the highlights of her career include performing for troops stationed in Iraq and appearing on a number of TV and radio shows, including VH1’s 100 Greatest Series. An accomplished comedian, DeVito has written and performed for some of the biggest names in comedy. His resume includes accomplishments such as writing for the 2018 White House Correspondents Dinner, as well as for The Break with Michelle Wolf. Additionally, DeVito earned his own Comedy Central piece, entitled Comedy Central Stand Up Presents: Anthony DeVito. Kosta has earned an established career as a stand-up veteran. A Daily Show correspondent, Kosta runs a weekly show at New York Comedy Club. Each week, he closes the show with the well-known humor that has come to characterize his career. An accomplished actor, Friedlander is first and foremost a comedian. With a rich history in the field, Friedlander has also starred in movies such as Star Wars: The Force Awakens (2015). 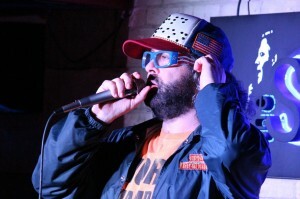 Hawkins’ impressive resume includes performances on Late Night with Jimmy Fallon and Gotham Live, among other things. Known for writing for “Hood Adjacent,” Hawkins has earned her spot as one of the funniest names in the industry. 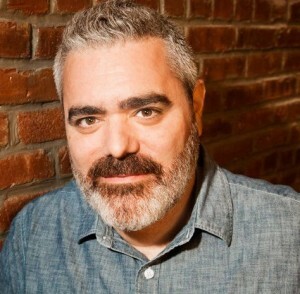 A regular at the New York Comedy Club where he performs a monthly charity show, Pinsly has earned a reputation as one of the funniest in the industry. A former insurance salesman who quit his job to make it to the Big Apple, Pinsly now sells out venues from New York to Nashville and even to Chicago. One of the hottest rising stars in the comedy arena, Sagalow has made a name performing at New York Comedy Club, as well as by contributing jokes to shows such as The Roast of Rob Lowe. Sagalow also hosts his own podcast “The Stupid Little Podcast,” which has helped increase his fame. 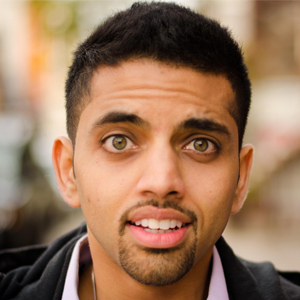 A rising star in the comedy world, Singh draws from his unique experience as an Indian American who grew up in Texas. His thought-provoking comedy builds from his multicultural experiences and looks to open eyes and hearts through old-fashioned laughter. Featured both HBO, MTV, and even Netflix, Singh is currently trailblazing his way into the New York and national comedy discussion. Smith’s varied comedic and acting talents have made him an A-grade performer on the national scale. With an accomplished TV resume that includes appearing on the hit HBO show “Girls” and on “Inside Amy Schumer,” Smith has quickly become an easily-recognizable figure in households across the country. So far, his comedic talents have been put on display at over 200 colleges in the United States and at various comedy festivals across the globe. 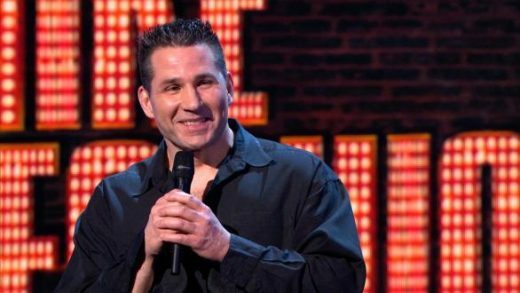 A resident of NYC, Smith looks to regale the New York Comedy Club with his much-acclaimed humor on Tuesday, April 2. Vecchione’s incredible career includes achievements such as earning a master’s in special education and in appearing on The Tonight Show with Jay Leno (once) and Jimmy Fallon (twice). 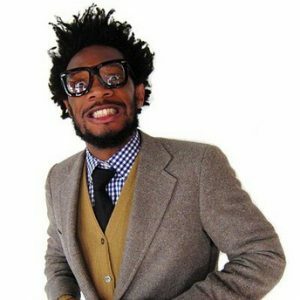 His comedic talents have also earned him spots on Conan and Inside Amy Schumer, as well as on Comedy Underground. 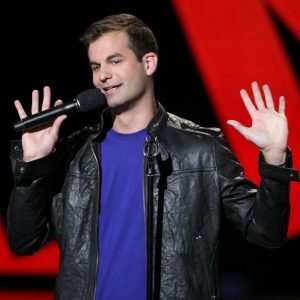 He is also a two-time semi-finalist from NBC’s Last Comic Standing. With this information in mind, let’s take a look at the New York Comedy Club’s upcoming schedules at their profile page on Best Comedy Tickets. They have two comedy venues listed include both those for the Midtown and for the East Village venues. Keep this valuable information in mind as you look to attend the New York Comedy Club this week. With some of the industry’s best talent on display, both the Midtown and the East Village venues look to provide top-quality humor this week. Find the show right for you by using our guide above.